If you're looking to cruise the clear waters and take in the spectacular sites and scenery around the region and the Andaman Sea, Phuket is the ideal place to purchase a boat. New and pre-owned sail and power yachts to suit all tastes and needs are available from brokerages and individual owners. Cruising the waters around Phuket, Phang Nga Bay, Koh Phi Phi and Krabi is an ideal way to explore and appreciate the area. What better way than to buy a boat? Various brokerages have an array of power and sailing yachts to accommodate couples and large families. You may wish to cruise slowly on a yacht or for the competitive sailor, sail in a regatta and travel with a flotilla for a couple of days. 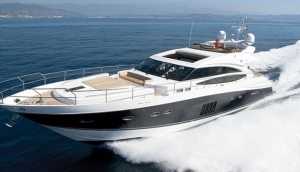 In a hurray, a luxury power yacht gets you to destinations further afield in a good stead.